Unlike many other sites, this site is constantly changing. We keep it bang up to date and are now adding new coins on a very regular basis. 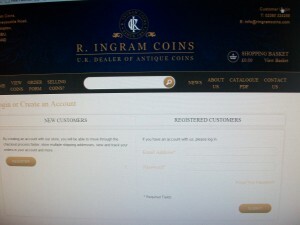 Recently we have added hundreds of decimal coins as well as lots of new Foreign. In the next day or two we will be adding many more foreign coins. 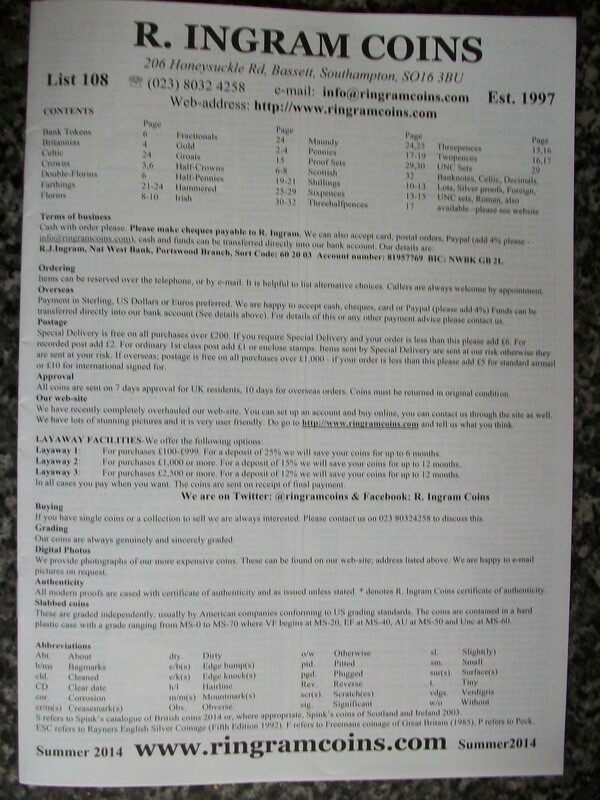 You can view our list via PDF or we are very happy to send you a hard copy (list 108), it's by far and away our most comprehensive list to date. Our new list, 108, is now online, it's by far and away our most comprehensive list to date. We've got all the usual English material, and this time we have added a substantial number of foreign, including much new US. 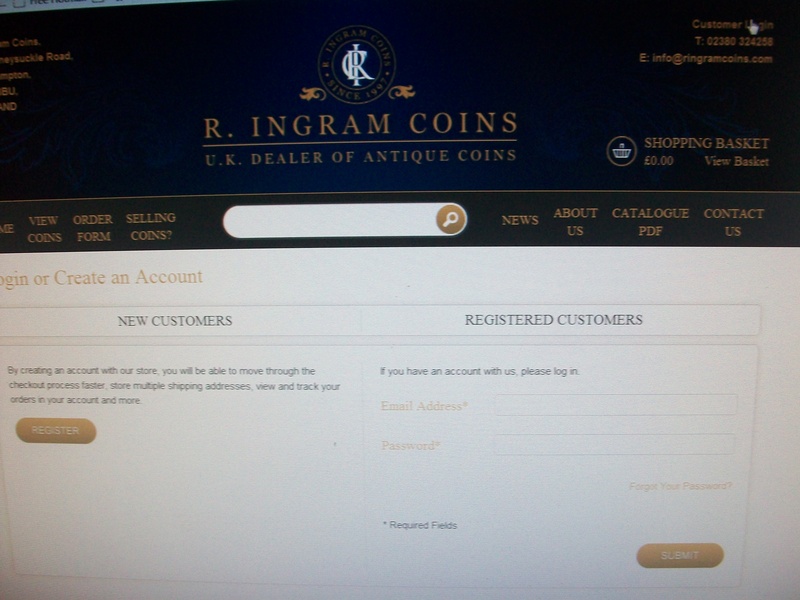 The vast majority of coins over £100 have images, and we now have well over 1,800 coins pictured on the site; to get a larger image of a coin simply left click to the side of the thumbnail picture of the individual page. Thank you for your continuing feedback, around 95% has been positive and we value it all, including the negative. We are also keen for suggestions which make this site easier for you to use. 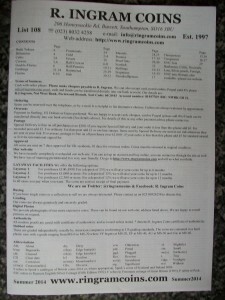 Many of you have registered an account & placed orders with us, others are just having a browse. We thank you all.